relationships within the social fabric. 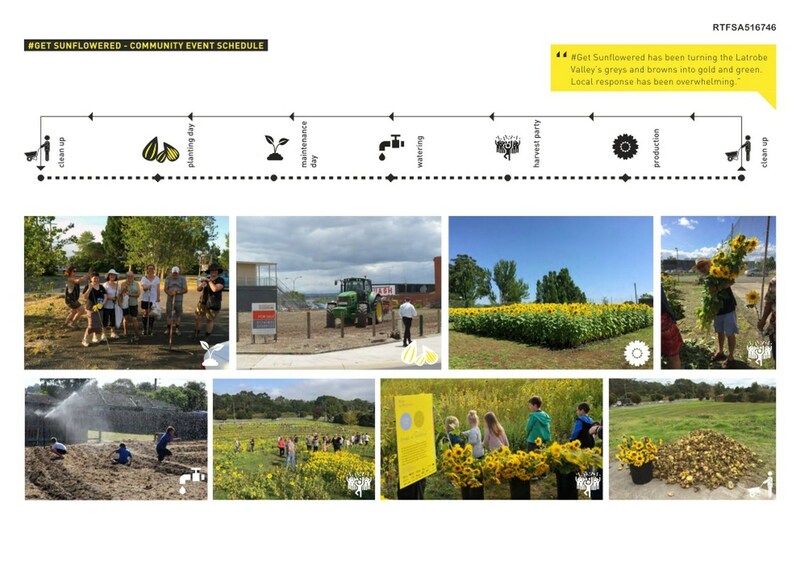 The project was developed as a series of events including cleaning and preparing sites, planting, maintenance, watering, to culminate in a harvest party to celebrate place and community. 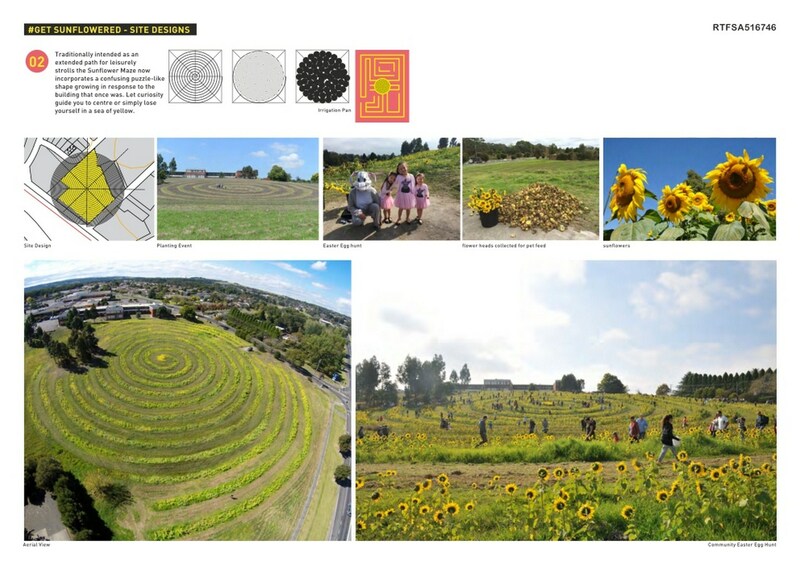 Each site was uniquely designed as a wondrous temporal land art project and an immersive space in which each town had a sunflower harvest celebration featuring local bands, performers, food vendors and activities. 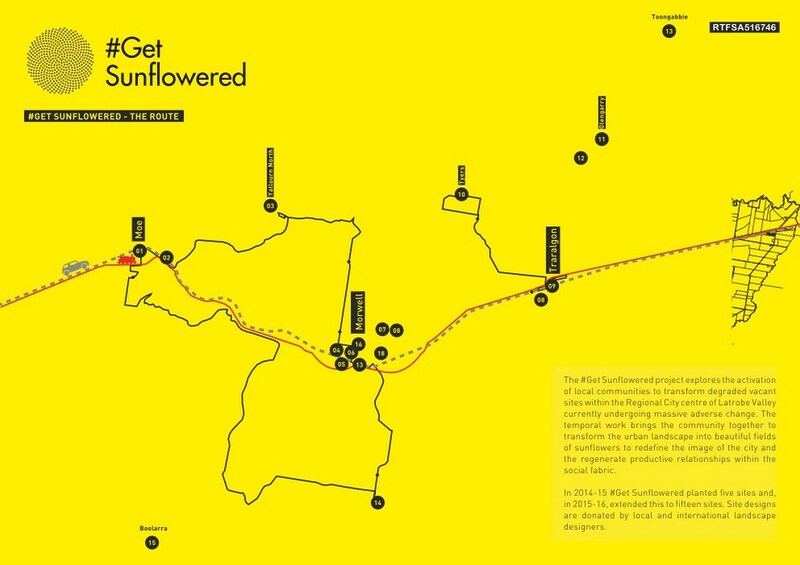 Locals and visitors attended these celebrations of place, leaving with armfuls of sunflowers. 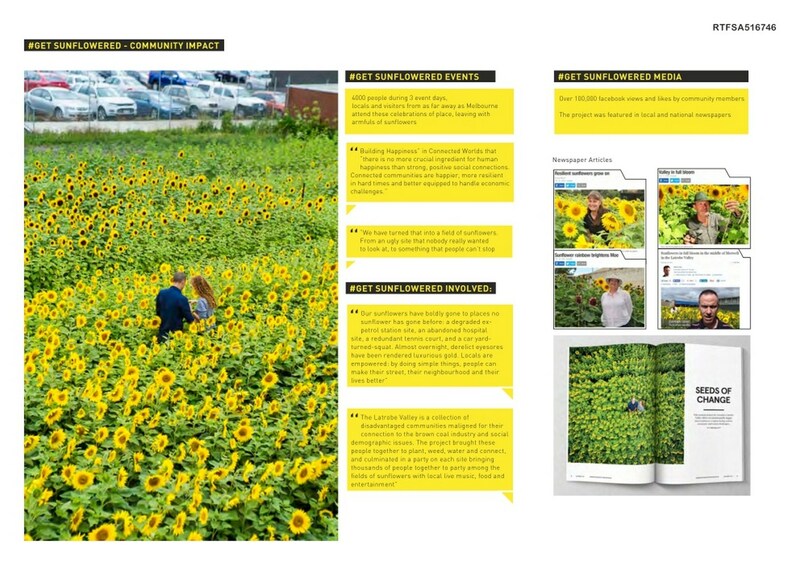 #Get Sunflowered encourages community organisation to build cooperation, reconnect a fragmented community, and build sustainable relationships between citizens, community groups, industry and local government to build capacity and actively contribute to economic, social and ecological wellbeing of the town in an uncertain future. Vacancy of buildings, sites and spaces is a characteristic of urban decay and evidence of the rapid relocation of capital and industry within a fast m oving, globalised econom y. 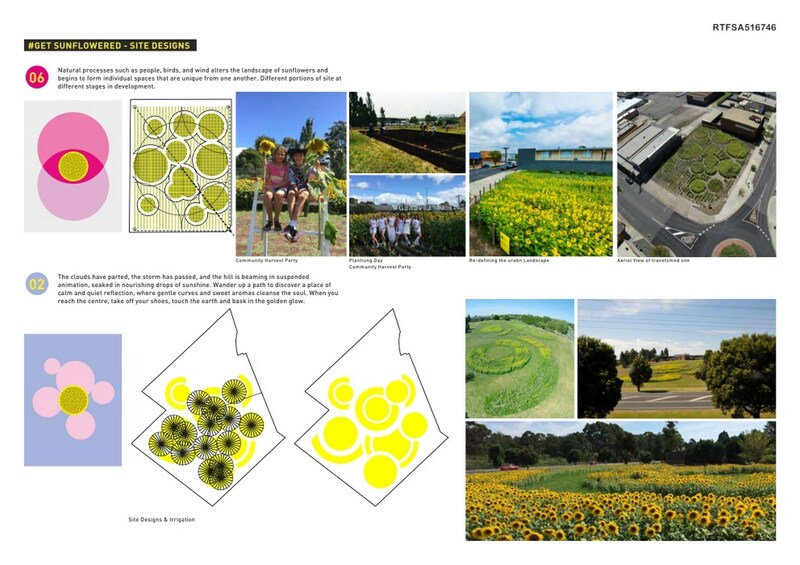 Vacant sites, underutilised public spaces and empty buildings erode social cohesion by disrupting amenity, blighting streetscapes, creating litter traps and attracting anti-social behaviour. The phenom enon of vacancy within the urban fabric is well recognised as adversely im pacting places like Michigan’s Detroit and Flint, and UK northern cities and towns. It’s occurrence in the Australian context is less well acknowledged. The project tackles the im m ediate problem of vacancy by using an innovative approach: opening up dialogue with the owners of derelict sites and introducing them to the flexibility of temporary occupation supported by form al, no-rent site agreem ents; and, organising local com m unity interest in bringing eyesore sites into positive community use. Activation of the social capital through local business and industry support served to bond the community. The project acts as springboard for the com m unity to understand how together they can be active agents for positive change.